You are here: Home / Featured / Drive for openness in donor conception – what impact on family relationships? Donor conception is becoming increasingly common. It is estimated that, to date, 35,000 children have been born through donated egg, sperm and embryos in the UK. Statistics from the Human Fertilisation and Embryology Authority indicate that in 2009 alone 1,084 children were born from sperm donation; 593 from egg donation and 79 children from embryo donation. Donor conception and the policies that govern its practice open up new possibilities of being and becoming a family. But how do we as a society engage in this development and how do we navigate the interactions between policy and everyday life? One particularly important issue in the lived experience and governance of donor conception has been the issue of secrecy versus openness. Should parents who have children in this way be encouraged to raise them as ‘their own’ without informing them of being related to a donor? Or should they be encouraged to tell a donor-conceived-child about their genetic background? It used to be that donor conception was managed through secrecy. In the 1940s and 50s donor insemination was associated with adultery and illegitimate child birth, and although it was never criminalised, a UK Government Departmental Committee in 1960 recommended that it should be ‘strongly discouraged’ (Richards et al 2012). During the 1970s and the 1980s, parents who went on to have children through donor conception were encouraged to keep the donation a secret. Donors in Britain were anonymous which meant that people born in this way could never seek any information about them. However, this policy has shifted in more recent years, and a policy framework has now been introduced that supports the idea that we as a society should encourage openness. The most significant marker of this shift is the removal of donor anonymity on 1April 2005 following from the implementation of the Human Fertilisation and Embryology Authority (Disclosure of Donor Information) Regulations 2004. Children born after this date are able to access identifying details about their donor when reaching maturity. Moreover, the Human Fertilisation and Embryology Authority’s 8th Code of Practice now advises that clinics should encourage parents of donor conceived children to be open with the child about the circumstances of their birth. Although it has been ten years since the establishment of the regulations in 2005, this shift to openness represents relatively recent social change as regards the management of family relationships. So although openness has now become an established idea there is not yet a social script for how families can and should translate that policy-recommended idea of openness into practice. How, then, do families of donor conceived children navigate policies of disclosure in real life? These questions were the focus of a recent research project ‘Relative Strangers’ at the University of Manchester, which was led by myself and Professor Carol Smart. We conducted over 70 interviews with heterosexual and lesbian parents of donor conceived children, as well as grandparents of donor conceived children in England and Wales. We found that translating the idea of openness into practice was very complex. Telling a child that he or she was donor conceived was complicated because it raised questions about when and how to tell the story. The parents are encouraged to tell whilst the child is still very young, and so they are faced with the difficult task of explaining infertility and donor conception (which involved talking about sperm, for example) to a young child. Some parents found that the children were not very interested, and yet they felt that they had to keep reminding them of being donor conceived. With telling a young child, the parents also found that they needed to tell their families. Culturally speaking, the family is often hailed as the place where we can be ‘most ourselves’ and share our most intimate thoughts and feelings. But we found that talking about donor conception could be very complicated exactly because it meant talking to family members about intimate issues. Many parents found that they needed to manage the process of being open about donor conception very carefully in order to ensure that their vital relationships with family could continue. In this regard our research found that sharing information about donor conception is a process rather than an event, and that the process is shaped by the relationships and ways of relating that already exist in a family. These findings add depth to the understanding of what openness is like in real life by highlighting that disclosure is a process that is shaped by existing family relationships. These are central to how the process unfolds. They also add insight to on-going policy debates about how to encourage parents to be open, and whether parents who refuse to tell their child should be required to do so. They show the need to take into account that delicate and vital family relationships can be at stake if the process of disclosure is not managed sensitively. 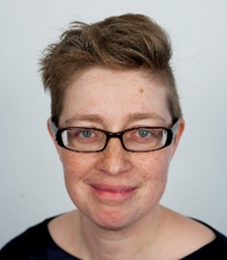 Dr Petra Nordqvist is a senior lecturer in Sociology at the University of Manchester, and a member of the Morgan Centre for Research into Everyday Lives. Her research interests are in reproductive donation and how donor conception impacts everyday day lives and relationships (www.manchester.ac.uk/egg-and-sperm-donors). More broadly, her research interests span kinship, family life and relationships, gender, sexuality, reproduction and medicine. Openness and contact in egg and sperm donation: Can we think beyond the current policy model?